What They Say.....Set in the early 1970s against the specter of the Manson girls, when the peace and love movement begins to turn ugly, this is the story of a runaway teenager's disappearance and her sister's quest to discover the truth. Caroline Leavitt is at her mesmerizing best in this haunting, nuanced portrait of love, sisters, and the impossible legacy of family. It's 1969, and sixteen-year-old Lucy is about to run away with a much older man to live off the grid in rural Pennsylvania, a rash act that will have vicious repercussions for both her and her older sister, Charlotte. As Lucy's default caretaker for most of their lives, Charlotte's youth has been marked by the burden of responsibility, but never more so than when Lucy's dream of a rural paradise turns into nightmare. 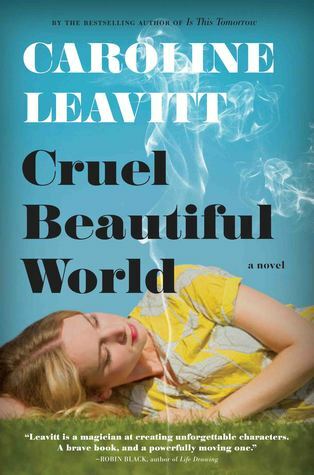 With gorgeous prose and indelible characters, Cruel Beautiful World examines the intricate, infinitesimal distance between seduction and love, loyalty and duty, and what happens when you're responsible for things you can't fix. What I Say.....What a book. I've always loved Caroline Leavitt, her "Girls In Trouble" was one of my favorites, but this new book is by far her best. She writes about complicated relationships in all of her books, but this story of two sisters was especially melancholy. Lucy is seduced by her teacher, she runs away seeking the excitement of a grown up life. But she finds that the life she has run to is actually much more confining than her life with her sister and their loving guardian. Charlotte is left behind, trying to follow the rules, trying to pursue her dreams of being a vet and being the remaining "good" child. She is sick with worry, but also a little angry with Lucy's immaturity and the selfishness of leaving a loving family and not making any contact. As Lucy begins to grow tired of her solitary life, she branches out, making secret friends, working a secret job, and beginning to realize that the life she left behind may not have been so bad after all. But her boyfriend is becoming increasingly paranoid, and unhinge - by the time Lucy reaches out to her sister, tragedy strikes. The story is as much Charlotte's as Lucy's. The bond between sisters is a weird thing - it's a twisty relationship that thrives in chaos as much as in peace. Everything your sister does has a weird ripple effect on you, even when they aren't near you. 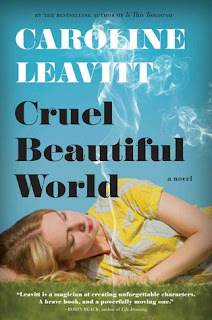 Definitely one of Leavitt's best - and I encourage everyone to read all of her books.